Pretty pastels pinks are overtaking our Spring wardrobe this season! 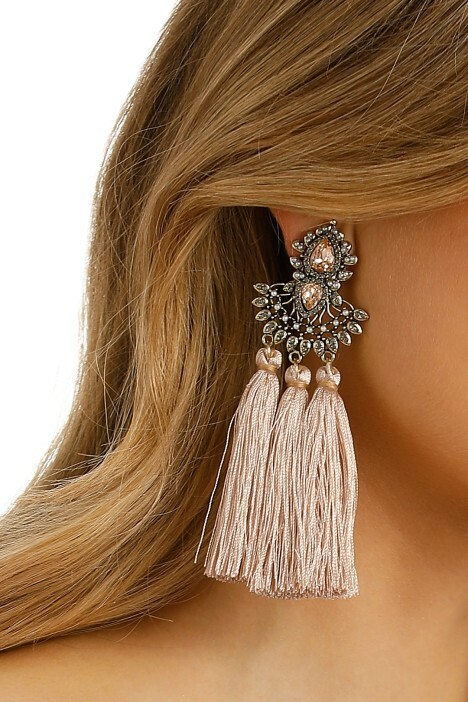 Crafted out of a super lightweight gold plated metal, these earrings features an henna-inspired tribal design detailing faceted glass crystals and luxe faux pearls. Grab these for a chic boho vibe to compliment an daytime to evening occasion. These earrings will have you dancing into the night. Dress it up with a floaty maxi or sleek black blazer for an updated work function attire. Read our blog for more on how to get work function ready.